Community Blog by ChrisHannard // Review: Aviary Attorney - Bird is the Word! Review: Aviary Attorney - Bird is the Word! 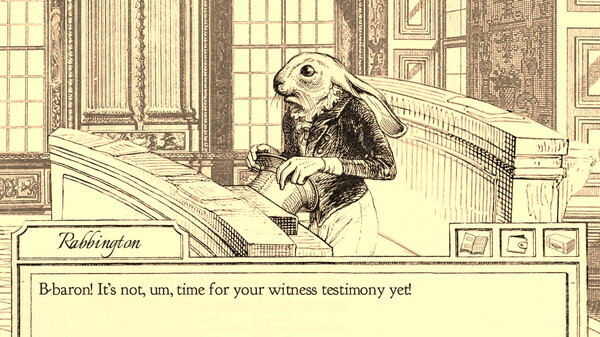 Granted, Aviary Attorney's general premise owes a lot to the Ace Attorney games, but it has a character all its own. This is due in part to the game's breathtaking visual style, which is taken from the art of French caricaturist J.J. Grandville. 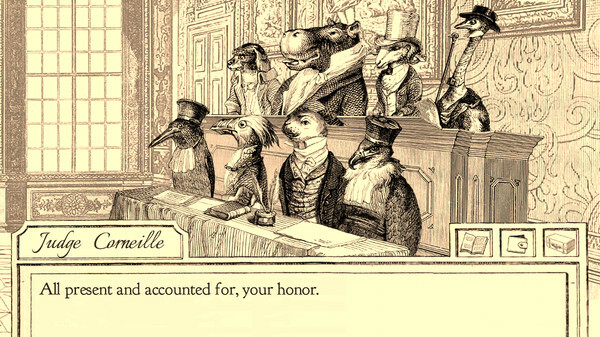 Most of the games characters are in fact taken from Grandville's work, sporting animal heads mounted on largely human bodies. Bizarre as this sounds, it lends the game a certain charm. In no time at all I was entirely comfortable interviewing a cigar-smoking lion about the murder of a waistcoat-clad frog, feeling entirely smug when I proved who the real culprit was. Gameplay mirrors that of the Ace Attorney games with you, as feathered lawyer JayJay Falcon, roaming the streets of Paris speaking to suspects and then using the information and evidence you have gathered to defend them in court. Courtoom battles involve picking through testimonies and highlighting contradictions. I found the courtroom sections to be a joy to play, more so than those found in Ace Attorney, since they're largely free of the improbable and convoluted twists that became the hallmark of that series. And while the soundtrack that accompanies your investigations mostly uses existing compositions, it perfectly matches the game's atmosphere and semi-historical setting. You're assisted in your endeavours by your snarky sidekick Sparrowson whose sardonic wit and frequent abuse of puns provides some comic relief. Many of the game's other characters are also happy to chip in with their own slightly tongue in cheek observations as well. 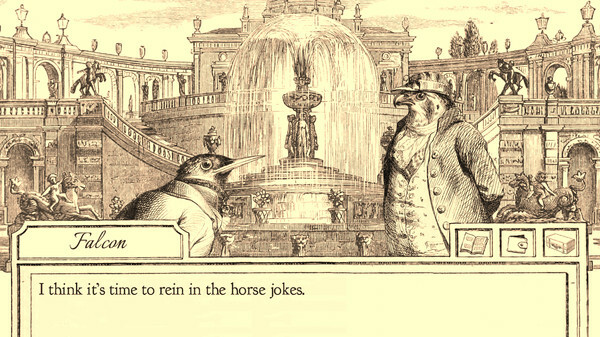 Though that's not to say that Aviary Attorney is played entirely for laughs. The game has plenty of darker moments, due in no small part to the game's political backdrop. Aviary Attorney takes place during a time of revolution, matters coming to a head as you progress through the game's four trials. Having played and enjoyed the Ace Attorney games, I was expecting Aviary Attorney to feature the same sensibilities, but a lot of the situations I encountered were less than clear cut. I found the game's moral ambiguity to be refreshing, leaving me to wonder whether justice really had been served. I was equally surprised to discover that it's possible to fail to win a trial, without the game ending prematurely. I was particularly shocked when I got the game's 'bad' ending. Not because I thought I'd failed, but because I'd grown to care about many of the game's characters and I didn't want things to end poorly for them. Aviary Attorney is not a flawless game, however. It can be finished in under four hours, though I will be playing it again just to grin like an idiot at JayJay and Sparrowson's verbal barbs. The game's third chapter also features a time-critical element, advancing the game's calendar each time you travel to a new location. The intention was presumably to introduce a sense of urgency. 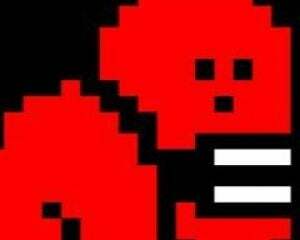 But in practice, I just found myself reloading my saved game each time I made a fruitless journey. Yet short as it may be, I loved playing Aviary Attorney. 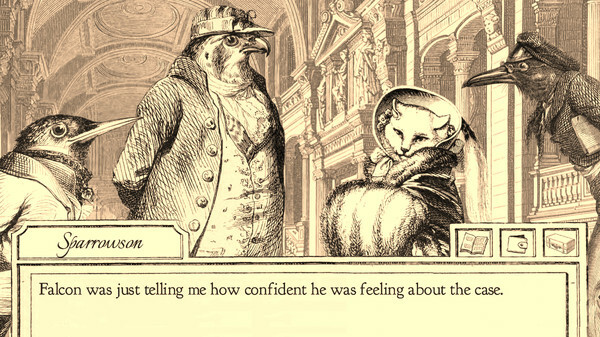 Unless your idea of justice is shooting first and asking questions later, Aviary Attorney succeeds in delivering a whimsical, engaging experience that will have you enthralled from beginning to end.